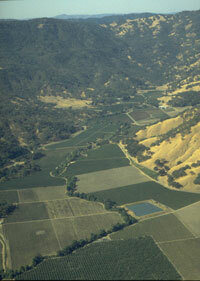 Hopland-Sanel Valley borders the Russian River just downstream of Ukiah Valley. 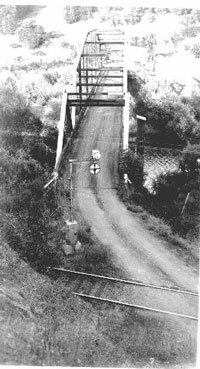 Fernando Feliz was the first white settler in the Sanel Valley, and gave his name to the largest tributary creek in this area. The town of Hopland was founded in 1874, named for the primary crop in the valley—hops. Similar to Ukiah Valley in topography, mountain ranges flank Sanel Valley and are drained by numerous creeks including: McNab, Crawford, Feliz, McDowell/Dooley, Duncan, and Pieta Creeks. Hops are no longer grown in Sanel Valley; today, premium winegrapes and pears are the main crops, with livestock operations in the mountains. The triangular Duncan Peak lies on the western edge of Hopland. Duncan Springs was a resort starting in the 1880s. Downstream of Sanel Valley the Russian River flows through several miles of a rockbound gorge. The rock outcropping known as Squaw Rock distinguishes this section of the river and derives its name from a local legend. According to the story, a young Sanel Indian woman, Sotuka, was betrayed by her fiancé Chief Cachow when he wedded a different woman. In a fit of jealousy and revenge, Sotuka held onto a large stone and jumped off the rock to land on the sleeping couple, killing all three. Hop pickers used gloves to avoid injury from the rough leaves and stems. These two sites in the Hopland Valley totaling 800 acres are managed with organic and biodynamic techniques to protect wildlife. This family-run business has been operating in Mendocino County for over 40 years. Owner Len Brutacao manages the property for soil and water conservation, and is working with the FFF program to plant more native tree species along Dooley Creek. 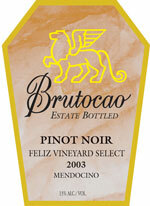 See also Brutocao Cellars Philo Ranch in Anderson Valley. 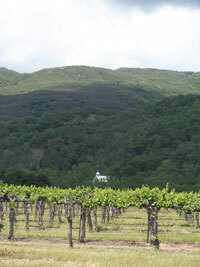 The Fetzer Winery manages 1,000 acres of organically certified vineyards in the Hopland and Ukiah Valleys. Projects to enhance habitats and water quality on two sites along the Russian River and in the foothills east of Hopland have been implemented. 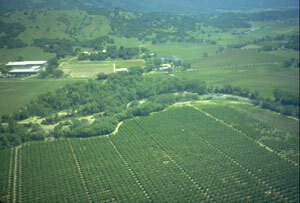 This vineyard borders Duncan Creek and is managed with soil and water conserving practices. Owner Robert Gibson is working to improve the canopy cover of Duncan Creek by planting native trees. This 22-acre site owned by Joe and Julie Golden has been farmed organically since 1986 and biodynamically since 1994. See also Heart Arrow Ranch. James Vineyards in Hopland includes a wetland area and wildlife corridor set aside by owner Jim Nelson “just for the ducks”. This land is very plantable and its protection for wildlife demonstrates how individual farmers often put wildlife before profit. In 2007, James Vineyards received an award from Fish Friendly Farming recognizing Outstanding Efforts in Stream Habitat Improvement and Restoration. This site is farmed organically and in the process of becoming a biodynamically-farmed site. Manager Joe Gozza allows goats and sheep to graze rather than mowing the natural cover. This 456-acre site borders McDowell Creek and stretches up to the foothills of this small alluvial valley east of Hopland. 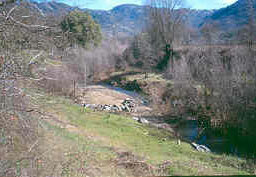 McDowell Creek has a large riparian corridor with wetlands bordering the site and is managed to benefit steelhead habitat and other wildlife. 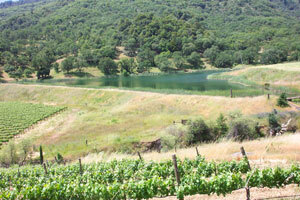 The Largo Ranch encompasses 230 acres and stretches from the Russian River up the valley bordering Crawford Creek. Waterways on this ranch will be managed using willow plantings to stabilize stream banks. 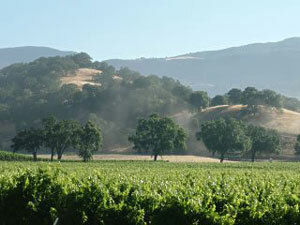 See also Milovina Vineyards—Robinson Creek. This large ranch includes Kneeland and McNab Creeks, tributaries to the Russian River. In 2004, Kneeland Creek was revegetated with a variety of native riparian trees and shrubs. This creek provides spawning and rearing habitat for steelhead trout. In 2005, portions of McNab Creek were revegetated by the Nelson family and the FFF program, in collaboration with the federal Natural Resource Conservation Service. 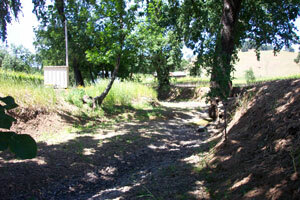 This 75-acre site borders a number of small creeks on the west side of the Sanel Valley. Surrounding the vineyards are rows of lavender, providing insectary benefits to the vineyard and a fragrant crop for aromatic oil. Only a third of this 300-acre site is planted in vineyards, where organic and biodynamic methods are used. The property lies along the Russian River and has several infestations of invasive, non-native Arundo donax or giant reed, which the managers of Saracina are working to remove.